Below is a woody stem cross section captured under the Richter Optica UX1 cordless student microscope captured at 400x magnification. This image was captured using the DCM5.2 microscope camera (5.2 megapixels). 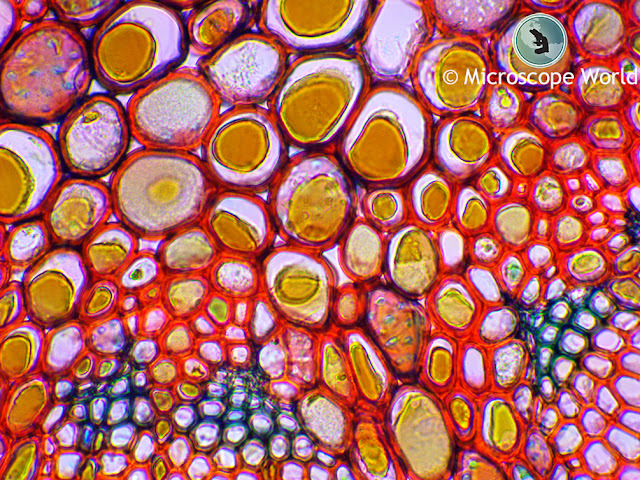 The woody stem produces wood as its structural tissue - typically either a tree, shrub or liana. Woody stem c.s. under the UX1 cordless microscope with DCM5.2 camera.